With every Viking Cue, you get a performance tip standard. Depending on the model, a Viking will be armed with a Le Pro Medium Tip, the Tiger Everest® Medium Tip or the Kamui™ Black Soft Tip. For players, tips are a personal choice and the reason we offer nearly all other quality manufacturers tips. 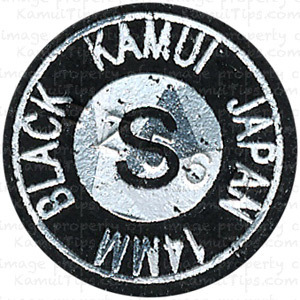 The KAMUI™ Black tip is designed to add more spin to your game. The player can put more spin to the cue ball with relatively slower speed of the pool cue. The elasticity of the black leather absorbs the momentum of the cue to propel the cue ball with desired spin. 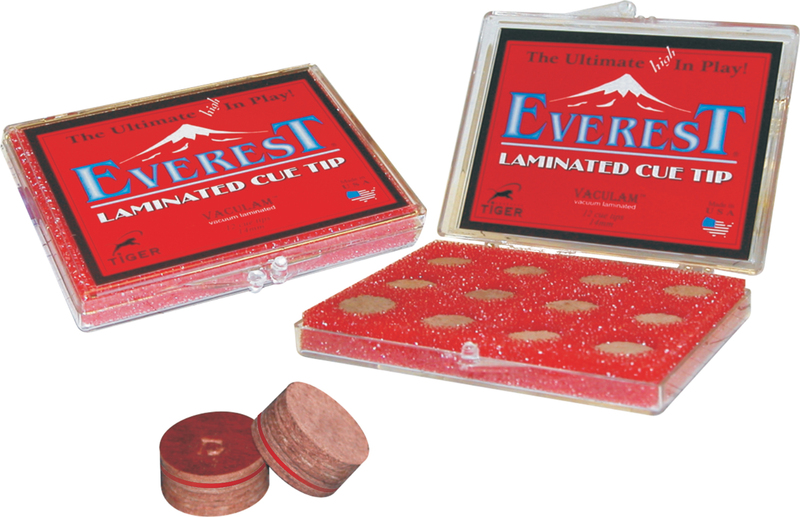 The Tiger Everest Laminated is known as the most durable and advanced cue tip ever created. The special red layer warns when replacement is needed. This tip shapes like a hard tip, hits like a medium and has a control like a soft tip. Le Professional (“Le Pro”) tips are an industry standard, crafted from vegetable-tanned oak leather. The Le Pro Tip has a special protective coating that seals and preserves the leather until the cue is ready to play. Viking Phenolic Tips are 100% made in house at our home here in Wisconsin. Our Phenolic tips come standard on Break and Jump cues that have been getting rave reviews as the best performing specialty cues you can buy.